The bank to the left of the image is the dam for this pool. It carries a broad track and the ground beyond it drops away steeply. 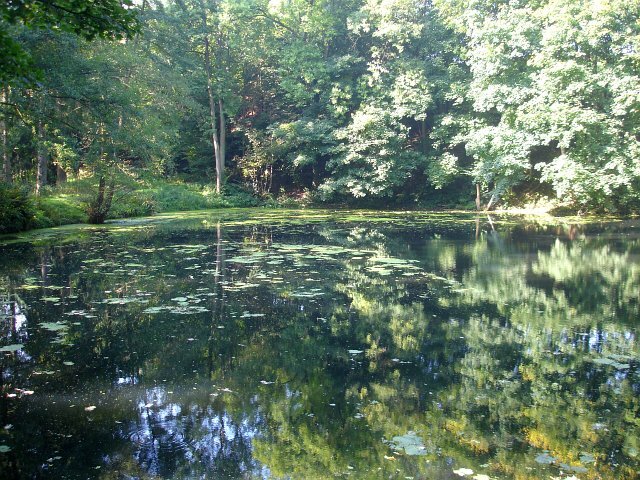 There are several pools in Leighton Park woods. Various sources suggest they were built and used in association with a water turbine which powered machinery, including a funicular railway, on this high-tech Victorian Estate. I have also read that they fed a decorative cascade near the Hall itself.